Du är inte klok, Madicken. 1979. Madicken is a fictional character created by the Swedish author Astrid Lindgren. Madicken appeared in 6 books, two movies—Du ar inte klok Madicken (1979) (You're out of your mind, Madicken) and Madicken pa Junibacken (1980) (Madicken at June Hill)—and a TV Series (1979). Du ar inte klok Madicken is about a 7-year-old girl from Sweden, during World War I. 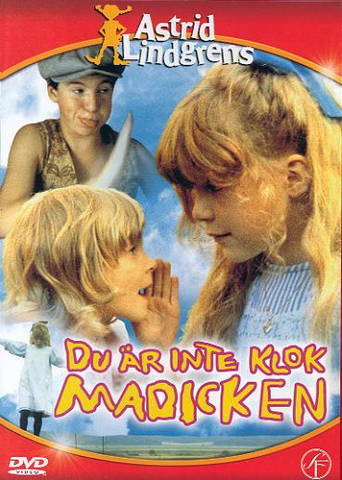 The follow-up movie Madicken pa Junibacken from 1980 is edited from various episodes of the TV production "Madicken" which screened in 1980. However, the events of the first film are set after the second film. Her full name is Margareta Engstrom, but the only time anyone uses it is when admonishing her. Her mother is a housewife - they have a maid who does the work around the house—and her father is the editor-in-chief of the local newspaper. Writers: Astrid Anna Emilia Lindgren. Cast: Jonna Liljendahl, Liv Alsterlund, Monica Nordquist, Lis Nilheim, Sebastian Hakansson, Allan Edwall, Birgitta Andersson, Cecilia Orlando-Willberg, Kerstin Hansson. Download Du är inte klok, Madicken.